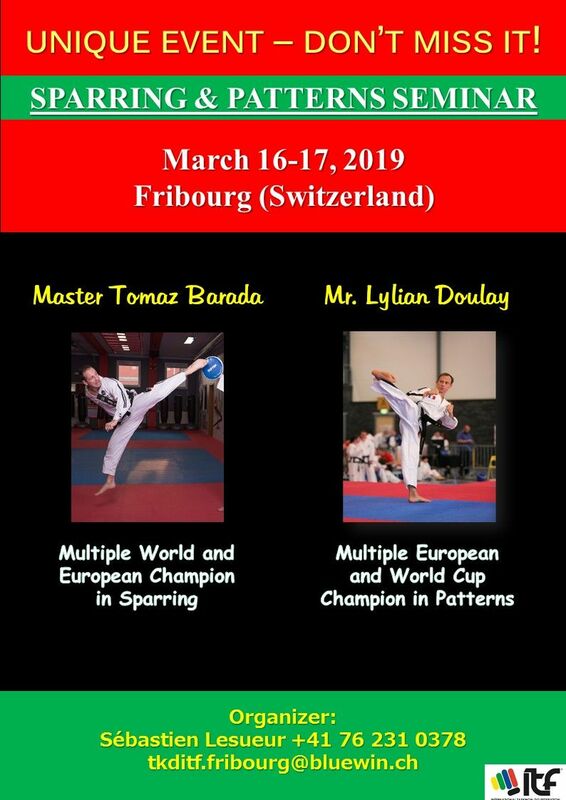 I am very pleased to invite you to the international sparring and patterns seminar held in Switzerland on March 16-17, 2019. This seminar is open to ITF Taekwon-Do members of 13 years old and above, 6 Gup and above. This is a unique opportunity to train with two famous champions in ITF Taekwon-Do: Master Tomaz Barada, multiple World and European champion in ITF sparring, and Mr. Lilian Doulay, multiple World Cup and European champion in ITF patterns. You shall find below all the detailed information regarding the event. I am looking forward to welcoming you to Switzerland for such a special event.